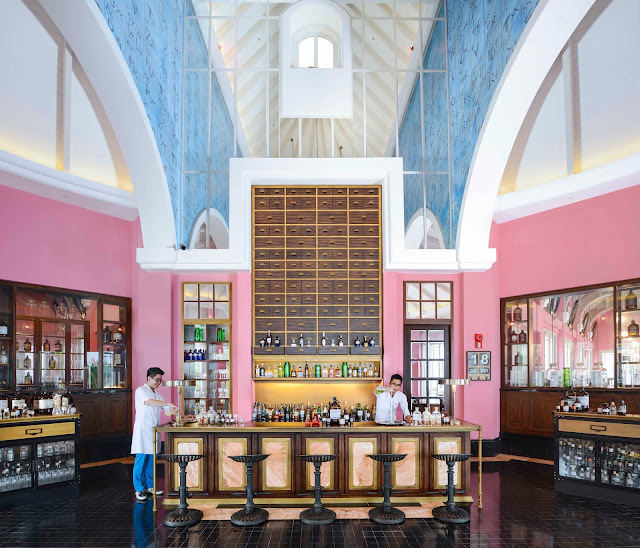 Asia’s fantastical island resort JW Marriott Phu Quoc has been chosen as one of the region’s foremost luxury resorts by readers of Condé Nast Traveler magazine (US edition). Named the fourth best resort in Asia and hailed as the 17th best resort in the world. These accolades follow a glittering array of awards and recognition since the paradisiacal Bill Bensley designed resort opened in 2017. The Condé Nast Traveler Readers’ Choice Awards reward the very best in travel, from airlines to villas, and are seen by many as one of the most important accolades in the industry. 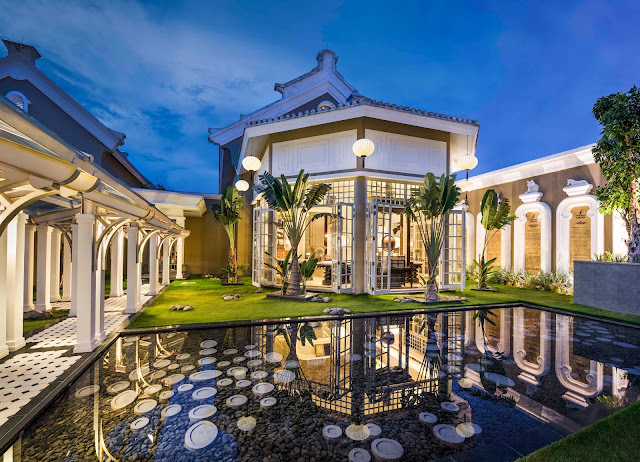 This new accolade adds to JW Marriott Phu Quoc’s long list of awards and recognition– previous wins include being selected as part of Travel + Leisure’s 2018 It List, Travel + Leisure’s selection of the best new and newly renovated hotels around the globe and being named the World’s Best New Resort in the 2017 edition of the World Travel Awards. The Resort’s Alice in Wonderland-inspired Chanterelle – Spa by JW has also been named World’s Best New Resort Spa in the 2017 World Spa Awards and South East Asia’s top Luxury Emerging Spa in the 2017 edition of the World Luxury Spa Awards. Renowned for its picture-perfect white beaches and fuchsia sunsets, Phu Quoc is a secluded island paradise off the south coast of Vietnam. 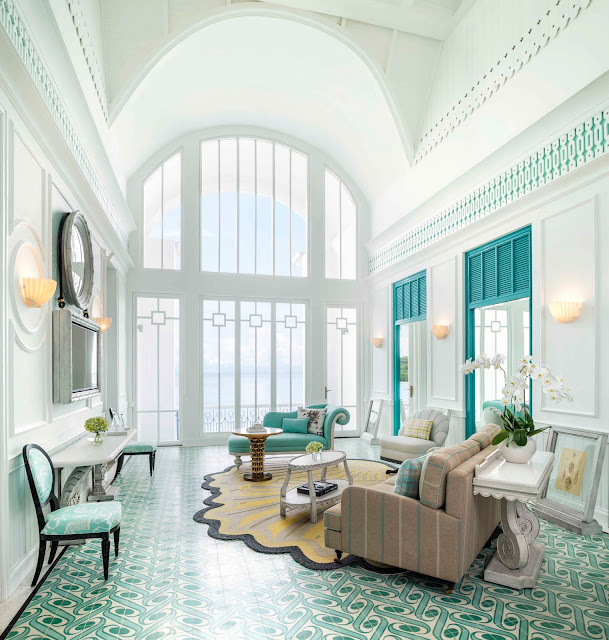 A whimsical property on this idyllic island’s ‘ice cream’ beach, JW Marriott Phu Quoc Emerald Bay was conceptualised by celebrated architect Bill Bensley and features a unique, larger-than-life design based on the fictional narrative of a mythical academy of learning, Lamarck University. The resort is a unique paradise offering guests five-star luxury with an exceptionally creative twist at every turn, thanks to Bensley’s tall tale of Lamarck University, told throughout the resort to conjure a truly harmonious aesthetic. An evolution in the architectural style, from its supposed beginnings in the 1880s through to the 1940s, ensures that resort feels like a campus of individual boutique-scale buildings developed over time, rather than a large resort, with each modelled after an academic department. For instance, the best spot for cocktails is The Department of Chemistry; The Department of Physical Education is the place to go for sports and fitness enthusiasts; while the main hub of the resort, Rue De Lamarck, is a bustling boulevard where boutique shops, traditional entertainment and cafés can be found. 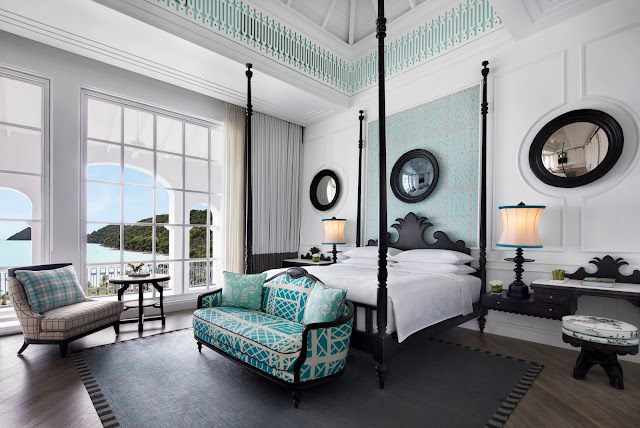 Lining Emerald Bay, the resort’s 234 spacious and beautifully appointed rooms, suites, villas and houses all boast beautiful views across a typically verdant Vietnamese landscape and the pristine white sands of the resort’s beach. Here guests can enjoy one of the ‘University’s’ extracurricular activities: snorkel among bustling coral reefs, depart on boating excursions to get those wanderlust-inducing Vietnamese island pictures, or enjoy kayaking along the rugged coastline. For days when only a sun lounger and a good book will do there are also three pools. 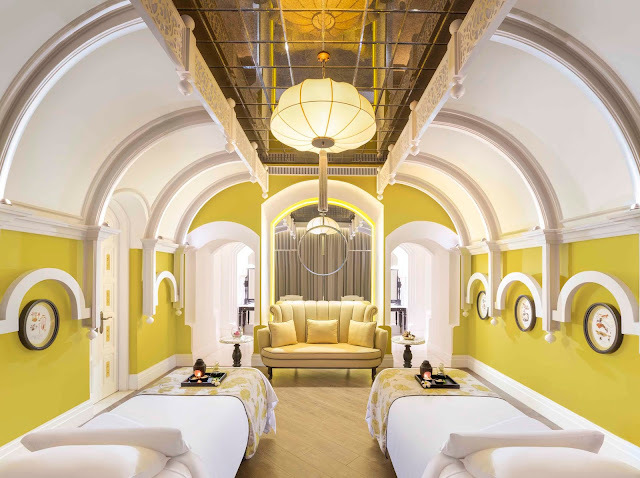 The resort’s award-winning flagship spa, Chanterelle – Spa by JW, offers an unconventional guest journey that references Alice in Wonderland to create an unparalleled experience in an imaginative space. Purported to have started life as the legendary former university’s Department of Mycology, the spa interiors play on the unique theme of mushrooms. Chanterelle – Spa by JW is replete with fungiform furnishings, hand-painted murals of flora and fauna, and framed biological illustrations of mushrooms displayed across the tall ceilings, which emphasise the fantastical surroundings. Bensley also took inspiration from the childhood fable to create a corridor of asymmetric curves and mirrors, echoing the scene where Alice falls down the rabbit hole.